The average Canadian family is expected to spend $411 more on food in 2019 than in 2018, bringing the total cost of healthy food to $12,157 for the year, according to Canada’s Food Price Report 2019. The report, now in its ninth edition, was just released by a team of researchers from Dalhousie University and the University of Guelph. There is some good news for consumers. 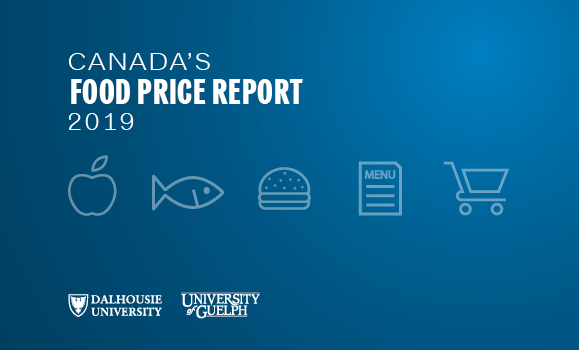 For the very first time, Canada’s Food Price Report forecasts a price decrease in two important categories: meat and seafood, still key parts of the Canadian diet despite the fact that consumers are turning to plant-based proteins in larger numbers. “We consume 94 million fewer kilograms of beef annually today than in 2010, and more than 3 million Canadians say they are eliminating meat from their diets completely,” says Charlebois.